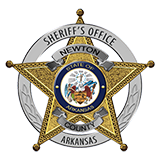 Sheriff Keith Slape stated that on Saturday, May 10, 2014 , Deputies with the Newton County Sheriff’s Office executed a search warrant on the Gary and Randy Duckett residence. During the search warrant deputies found a large amount of alcoholic beverages and firearms. Both Gary and Randy Duckett are convicted felons and were charged with Procuring alcohol for another in a dry area and Possession of firearms by certain persons. Both have bonded out as of this press release.